Brilliant gems make for stunning wins! 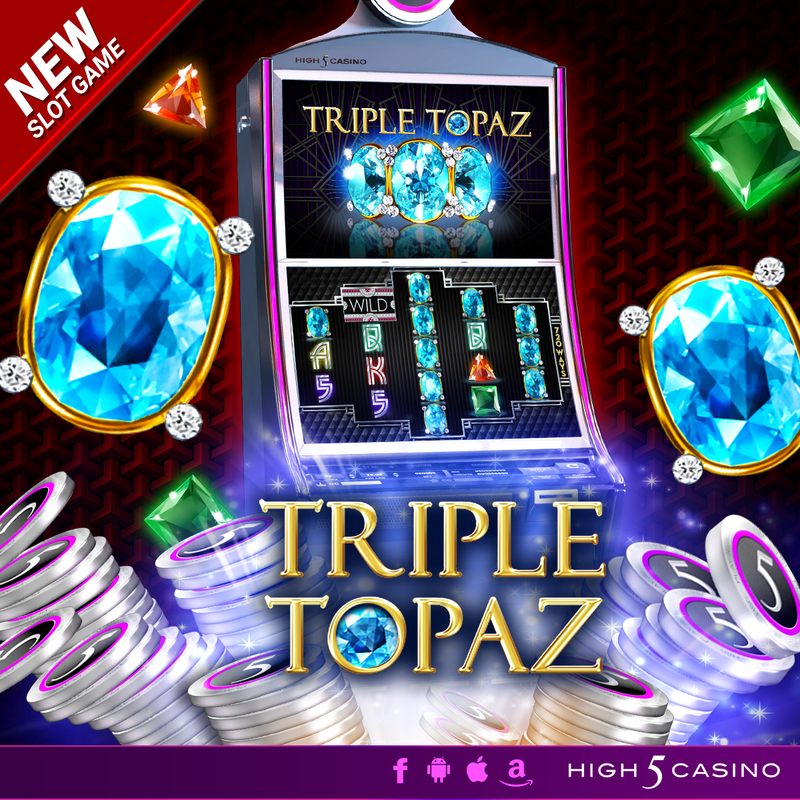 High 5 Casino’s 232nd game, Triple Topaz arrives soon! Legend has it that the topaz, a stunningly beautiful gem, can grant great fortune to those who seek it! In its natural state, the stone is tremendously valuable, but the blue stone is quite rare and one-of-a-kind. Now you can find it in Triple Topaz; try your luck for the chance to hit brilliant rare wins with Super Stacks, Bonus Select, and the Find your Fortune Bonus! Find different color lucky gems in Triple Topaz! Check the YouTube video below and get ready to search for the desireable blue topaz! Are you ready to Find Your Fortune Bonus in Triple Topaz? Comment in the conversation bubble located on the top right corner of your screen and let us know what you think! There’s no better way to get a jump start on your Halloween weekend than by playing Triple Raven, which is now UNLOCKED for all players at High 5 Casino and also UNLOCKED for all players as a video poker theme! The 111th slot at H5C is sure to get you in the right mood for all types of spooky festivities, and/or for gorging yourself on candy. I, for one, will be dressing up as a Sudoku puzzle on Friday, and know I’ll be spending the early evening spinning Triple Raven to get in the right mood. Experience High 5 Games’ take on Edgar Allen Poe’s classic poem “The Raven” in Triple Raven! Wonderful art design and stirring music create an intense and supernatural atmosphere as the protagonist of the famous work interacts with a mysterious raven who only says, ‘Nevermore.’ Unlike the despondent narrator, you’ll have hope for big wins on this dreary December night thanks to 720 ways to win, Triple Symbols, and the Nevermore Bonus! What do you think of Triple Raven? What type of slots would you like to see H5G make in the future? Play Triple Raven at High 5 Casino. Empress of Time is coming soon to High 5 Casino! You’ve probably heard the expression ‘Time is money’ before – in Empress of Time, this statement comes to life. Time is the only currency that matters, and the Empress controls its fair distribution. Of course, immense power creates many enemies. In this struggle of good vs. evil, will time end up in the wrong hands? If you choose to join the Empress of Time in her battle, you’ll be rewarded with 720 ways to win and Free Games with Increasing Multipliers. 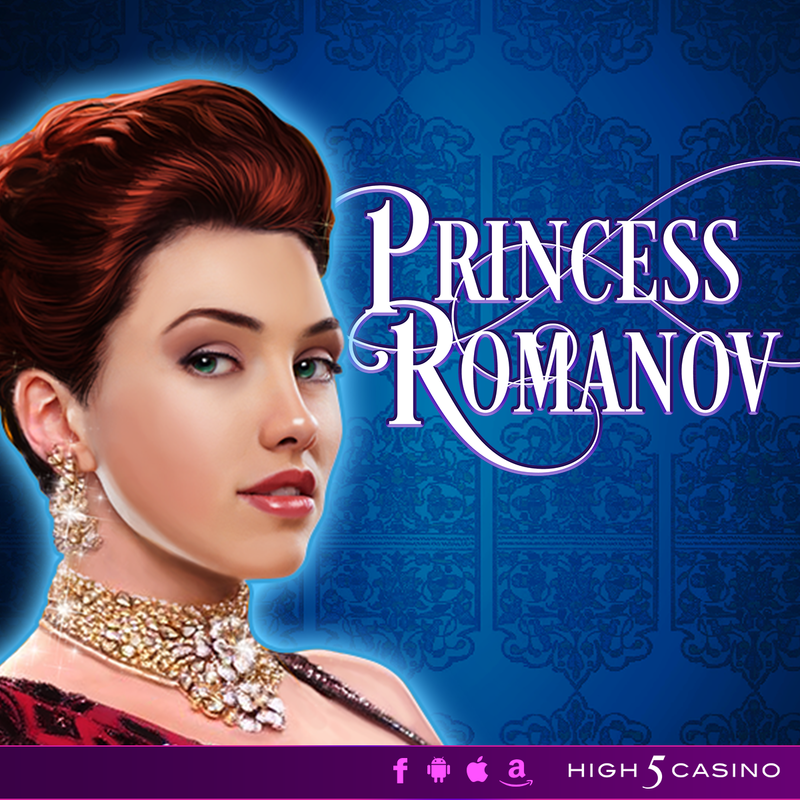 Are you excited for the upcoming debut of Empress of Time at High 5 Casino? What type of games would you like to see us make in the future?